The countless islands, channels, inlets, glaciers and coves sited along the 2,400-mile stretch of coast between Valdivia (Chile) and Mar del Plata (Argentina) can satisfy the thirst for discovery of even the most curious navigator. The landmarks found on the charts bear names of mythical propensities: Cape Horn, Tierra del Fuego, Patagonia, Magellan Strait, Península Valdes and Le Maire Strait. The navigators who sailed these waters are among the greatest of all time: Fernando Magallanes, Francis Drake, James Cook, Louis A. de Bougainville, Robert Fitz Roy, Charles Darwin, Joshua Slocum, Vito Dumas, Peter Blake to name but a few. A world of stunning beauty with the imposing backdrop of the Andes will be the sailor's constant companion. But the real surprises will be provided by the great variety of landscapes; the wilderness which remains very much as it was, when first seen by man; the numerous species of plants and animals; and the people themselves, whose natural sense of solidarity has been further strengthened by the great loneliness and harsh climate of the region. 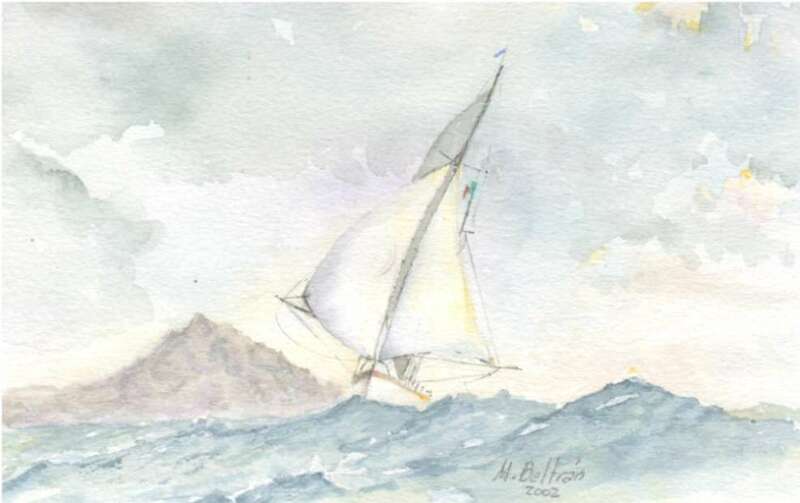 Throughout the centuries of heroic sailing off Patagonia and Cape Horn runs the constant thread of association with strong winds and heavy gales - hardly a reputation to lure small yachts. Nevertheless, more and more crews have left the boring and steamy tropics to steer their vessels bravely south. A better knowledge of meteorology, together with the improved technologies of boat building and handling, have greatly increased the confidence of sailors and widened the horizon of their routes, to include areas considered among the worst on the planet. These seas are now faced with increasing tranquillity, a trend clearly demonstrated by numbers. While 20 or so yachts sailed these waters between 1902 and 1970, the number reached 700 in the following 30 years. This pilot guide, now at its second edition, aims to report the local conditions and knowledge with the greatest accuracy, in order that these 2,400 miles of water can be navigated safely. The work is divided into two sections. The first section (154 pages) contains subjects of general interest such as flora, fauna, geology, history and heritage. 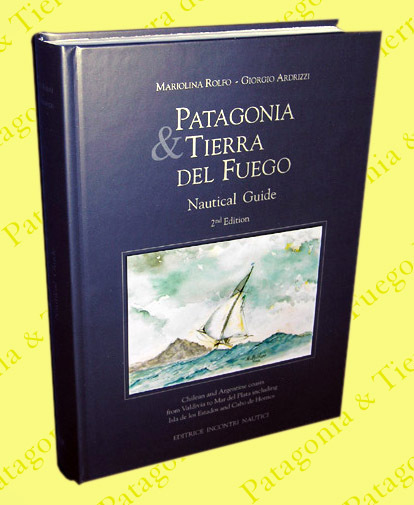 The second part (565 pages) is strictly nautical and is the result of eleven years experience in sailing these waters. The authors have selected and personally tested over 400 anchorages - all noted with accurate descriptions and drawings so as to provide the necessary information for a safe navigation. Moreover, this section is improved by the inclusion of notes regarding meteorology, radio frequencies, yacht preparation, rules of navigating, information about Chile and Argentina and a rich bibliography. - 93 colour prints and 39 B&W prints.